Wikileaks documents reveal that after Germany, France and Brazil, the US has spied on another key ally: Japan. The American government has been spying on Japanese cabinet officials, banks and top companies, according to documents revealed by Wikileaks, in the latest of a series of shocking espionage cases in which the US has been shown to be spying on key allies. The documents, marked "top secret," show 35 telephones numbers targeted for interception by the National Security Agency (NSA), including conversations at government ministries and offices. America's covert surveillance in Japan has been ongoing for no less than eight years according to Wikileaks, which previously exposed how the US spied on other allies including Germany, France and Brazil. The Japanese government has yet to respond to the documents. After World War II, America imposed an occupation on Japan until 1952, when a security agreement was signed between the two countries by which the US obligated itself to defend Japan. The occupation in the southernmost Japanese island of Okinawa continued until 1972. The latest revelations "demonstrate the depth of US surveillance of the Japanese government," according to a Wikileaks statement, noting that America spied on internal Japanese discussions on trade talks, climate change policy, and nuclear and energy policy. It also spied on a confidential briefing held in Prime Minister Shinzo Abe's residence, in a shocking breach. The espionage also targeted Bank of Japan officials, as well as the fossil fuel departments of the massive Japanese companies Mitsubishi and Matsui. According to Wikileaks, America shared the information on its ally Japan with Australia, Canada, the UK and New Zealand. 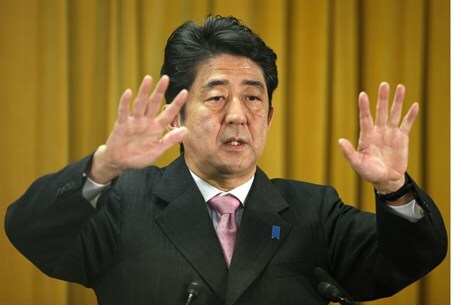 The incident comes even as Abe is looking to controversially shift Japan's anti-war constitution that was authored by the occupying US forces after World War II, in a push for expansion of military deployment and involvement that would see Japan take on a more independent role. Japan has likewise become an important ally of Israel over the course of a year.